Many people consider Arlington, TX to be the sports capital of America. Not only is this city home to the Dallas Cowboys and Texas Rangers, but it has also played host to numerous championship games as well. The weather here is usually pretty great and the locals never fail to miss a celebration. Whether it's food truck festivals in April and October, or the South St. Art Festival in September, this city always something exciting for everyone. With so much excitement happening here every day, who has the time to mow their lawn? Well that's what Lawn Love is for because we want your weekend to be an enjoyable one, so just leave the lawn mowing to us. 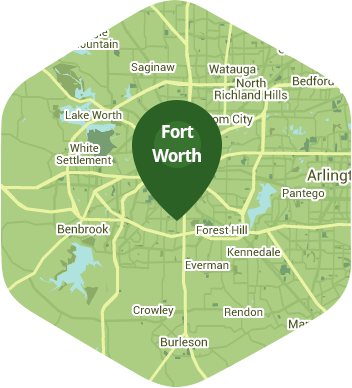 We are one of the top lawn mowing service providers in Arlington and with our team of independent lawn techs on the job, you can bet that your lawn will be looking great again in no time at all. One of our main visions is to help bring the lawn care industry to the next level, and we want to do that by combining old fashioned customer service with the ease and access of online booking. With just a few clicks of your mouse or taps on your phone, you can schedule our lawn mowing service in a jiffy. Get on the phone now and call us at 817-345-6362, or ask for a free online quote to know more about our lawn mowing service.